Just some of the places we visited this year. God is good. 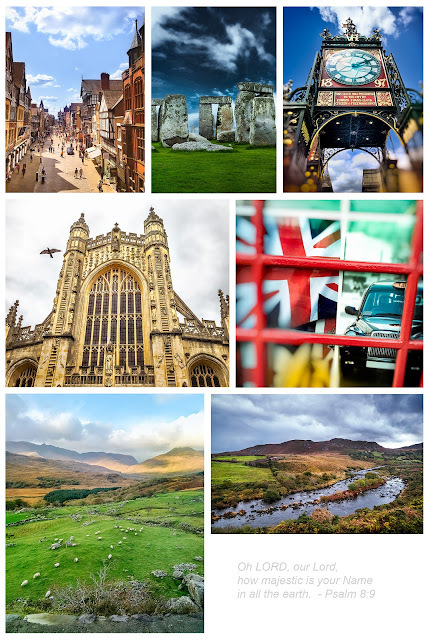 Clockwise: (1) Chester, England; (2) Stone Henge, England; (3) East Gate Clock, Chester, England; (4) Phone Booth in London, England; (5) Stream in the Ring of Kerry, Ireland; (6) sheep grazing in the Ring of Kerry, Ireland; (7) Bath Abbey, England.